The study is not binding for Polish planning authorities. It is not a legal document. It does not decide what solutions will be adopted in the Polish maritime spatial plans, or what plans for which sea areas will be developed. It was prepared as a background document in support of the succeeding process of preparation of the binding plans. 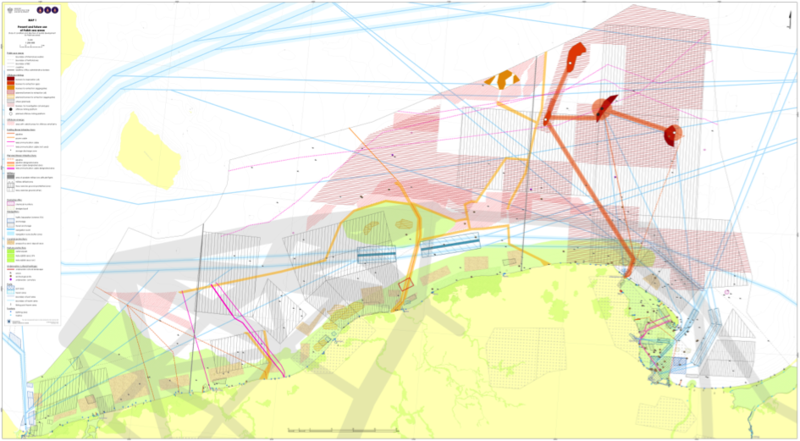 Despite being non-binding the Study, because of its content, is of significant practical importance for the work on the maritime spatial plans, e.g. in conflict and synergy analysis and during formulation of the planning solutions. The Study covers all Polish sea areas, i.e. 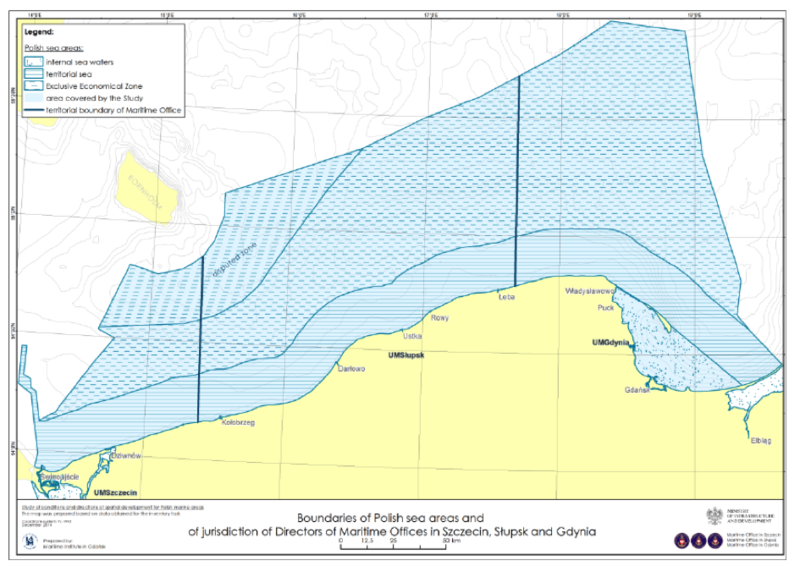 the Exclusive Economical Zone (EEZ), the territorial sea, the sea waters between the baseline of the territorial sea and the boundaries of land lots bordering with the sea, and the internal sea waters of the Gulf of Gdańsk. The Study does not cover sea waters within the boundaries of ports and the Szczecin and Vistula Lagoons. The territorial sea and internal sea waters considered in this Study cover the area of 10 029 km2 (territorial sea – 8813 km2 and internal sea waters, i.e. the Gulf of Gdańsk – 1216 km2). The Study constitutes the first phase of the official maritime spatial planning process in Poland that started at the end of 2013. Preparation of the Study was financed from the budget of the Polish maritime administration. Information and data that formed the backbone of the Study was delivered as in-kind contribution from various national agencies on the request of Minister responsible for MSP in Poland. 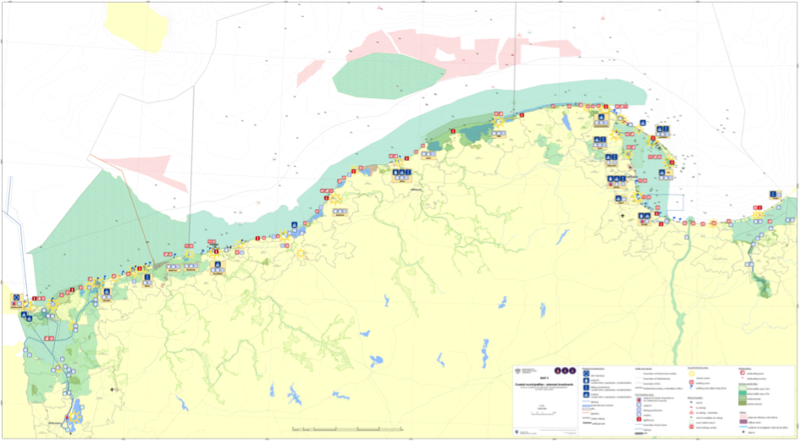 The aim of the Study is to collect and analyse information for the needs of preparing maritime spatial plan(s) for Polish sea areas. This includes information on the state of the marine ecosystem, and existing ways of using the sea areas. 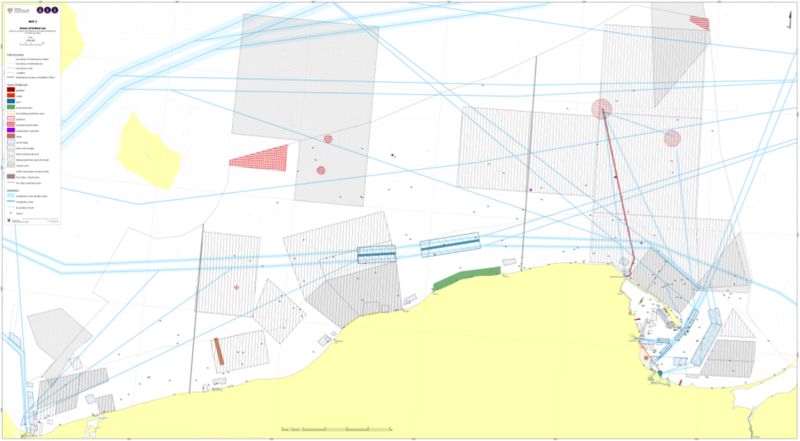 The study also identifies main conflicts and out lines key issues that attention should be paid to during the next phases of preparation of the maritime spatial plans in Poland. geological, including types of sediments, mineral resources, etc. areas used for sports, tourism and recreation. Some of those areas have been classified as areas of restricted or limited use, e.g. military training grounds, zones of dumped munitions, areas for nature protection, areas devoted exclusively to shipping and some others. Moreover, the investments planned on land that might have impact on the use of the sea space have been examined as well (focus on tourism and ports). The Study was discussed with interested parties. First, at the beginning of the process, a meeting was organised and discussion opened in June 2014, especially on the structure of the document and the scope of collected data. A second meeting was organised in November 2014, during the final phase of drafting, in order to present the collected material, verify its correctness (agreement with the real state) and verify methods of graphic presentation. Also, together with stakeholders, an introductory conflict and synergy analysis was carried out. The final document is a result of these debates and includes the remarks collected there. The study was not subject to the transboundary consultations. However, it was widely presented at different Baltic Sea Region fora in particular those attended by the MSP authorities. For instance it was discussed in 2015 at the Baltic Space meeting devoted to the similar reports i.e. stock-taking and inventory documents produced in the course of the MSP process in the BSR countries.